Queen pillow top bed in a large room with reverse air conditioning, mini bar, complimentary Wi-Fi and Foxtel. Close to the CBD. Twin Share room with 1 queen and 1 single pillow top beds in a large room with reverse air conditioning, mini bar and complimentary Wi-Fi and Foxtel. Minimum 3 night stay. Close to the CBD. Family Room with queen pillow top bed and 2 single pillow top beds. Complimentary wireless internet and Foxtel. 1 Queen Pillow top bed & 2 pillow top single beds. 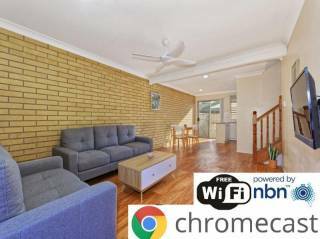 Complimentary wireless internet and Foxtel. 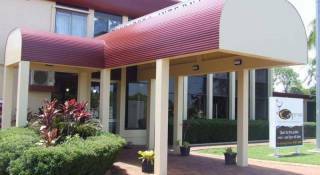 The Villa Mirasol Motor Inn is AAA rated 4 star, centrally located Bundaberg Motel Accommodation. 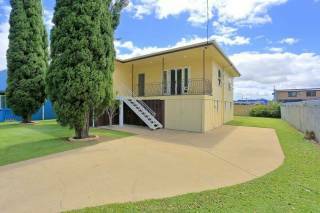 Centrally located, spacious and modern Bundaberg accommodation. All our rooms are NON-Smoking. The Villa Mirasol Motor Inn offers the corporate professional and discerning vacationer quality accommodation. The Villa Mirasol Motor Inn’s Mexican décor flows from the outside to the inside. All our rooms are NON SMOKING but we do have designated outside areas. 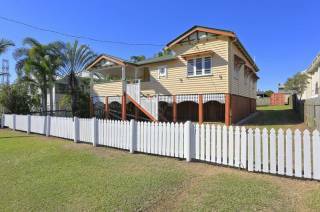 We are only a short walk to Restaurants, Shopping Centres, Theatres, Art Galleries, Self Guided Heritage Walk of Bundaberg, Marina, Parks and Central Business District. The Villa Mirasol Motor Inn offers all our Guests a comfortable sleep in air conditioned rooms with Complimentary WiFi , Foxtel & Complimentary Continental Breakfast in our beakfast room. While we do accept cash for accommodation payments we only accept Guests who will provide Credit Card details for security. Additional 3% Credit Card surcharge applies to Amex & Diners Club. If cancelled 0 - 1 day before arrival, the first nights accommodation cost will be forfeited.